Every year it amazes me how much information our brain can hold. The more landscapes I go to see, the more things I realize I have yet to learn. This past summer I started consulting in Atchison, KS after we added a garden center there. One of the first jobs I went to had a spruce tree with a disease I was not aware of. Rhizosphaera needle cast on spruce is an interesting disease. When I talk to people in Kansas and Nebraska I have to remind them that evergreens (except Eastern Red Cedar) are not native to the Great Plains and they tend to have difficulties in our climate. 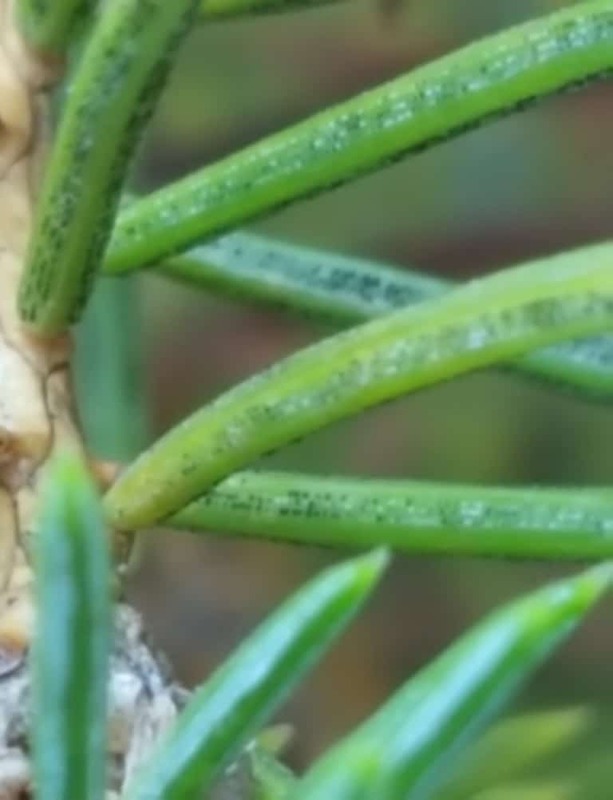 Rhizosphaera needle cast is prevalent on the highly susceptible Colorado spruce. It occurs when plants are stressed and moisture is retained on the needles either from sprinklers or poor air circulation. The disease is shown by the rows of neatly arranged black dots on the surface of the needles. These are the spores of the Rhizosphaera fungus. The fungus causes needles to die starting at the bottom of the tree and working its way up. Infected trees also have severely reduced canopies. Management of Rhizosphaera needle cast includes planting trees with good spacing to increase air circulation, moving sprinklers away from spraying on trees, and planting more resistant species such as Black Hills spruce or Norway spruce. Chemical applications can also be applied to control the disease. Spray Chlorothalonil in the spring when the new needle growth is half the length of the previous season’s growth. A second spraying should be done 3-4 weeks later or according the label directions. Always read and follow label when applying chemicals. If the disease has destroyed more than one third of the needles on the tree, it better to remove the tree than try and control the disease and prune out dead branches. Spruces are not long lived trees in Kansas and Nebraska, most of them averaging 30 years. Also, evergreens with bare bottoms can be unsightly in a well-manicured landscape and may detract from the value of a home. Be careful with the word "evergreen", Eastern Red-Ceder is native to the great plains.